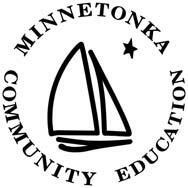 American Red Cross programs including the American Heart Association's First Aid, CPR and AED, and Basic Life Support (BLS) certifications are offered through Minnetonka Community Education. Some of this programming is required for life guards and instructors; it's good training for anyone and everyone! Click here to see course options.